I've written here before about music and the 1984/85 miners strike, including putting together a mix which you can find on mixcloud. But the day to day soundscape of the strike, and particulalry its picket line battles, was less about the bands playing benefit gigs than the sounds of crowds (including some songs and chants) and sounds of the police with their vehicles, horses and riot shields. 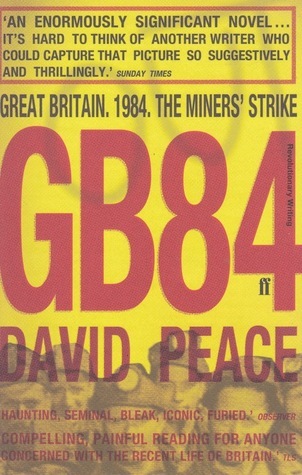 One of the things I like about 'GB84', David Peace's fictionalised ‘occult history’ of the strike, is his description of this. He writes of 'The noise of the battle... The shouts. The sirens' and of the 'Noise of it all. Boots and Stones. Flesh and bones... They beat them shields like they beat us... I heard them again - Them hooves, them boots'. In his visceral, multi-sensory account the author invites the reader to recall or imagine the 'sound of body against Perspex shield', 'sound of rock hitting Perspex shield' and 'sound of police truncheon against body'. Peace himself grew up in Ossett in what was then the West Yorkshire coalfied, and as a 17 year old at the time of the strike played miners benefits gigs with his band.